How can psychology help us understand and solve environmental and energy-related problems? How can we motivate and empower people to act pro-environmentally and adapt to a changing environment? Questions like these are addressed in the Master program 'Environmental psychology'. The program focuses on the interactions between humans and their environment. You will acquire theoretical knowledge and methodological skills to understand and address the human dimension of environmental and energy-related problems. 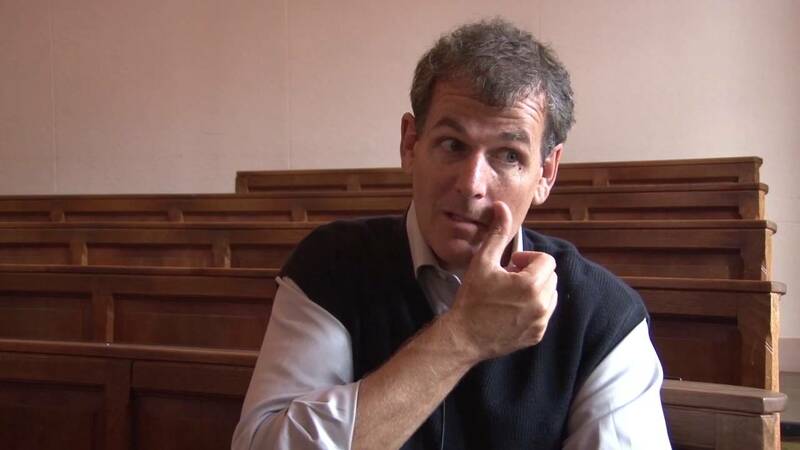 The program is taught by the world-leading Environmental Psychology group at the University of Groningen. The expertise gained in this master is essential in attempts to limit global climate change and its negative impacts, and adapt successfully to the consequences of climate change. Governments and companies seek advice from environmental psychologists to understand the human dimension of sustainable development, and leading journals, such as Nature, stress the importance of the social sciences for solving environmental and energy-related problems. This master will equip you for job opportunities that focus on finding effective and acceptable societal solutions to these problems. You can take part in ongoing research of the internationally renowned Environmental Psychology group, or set up your own new research. The master program Environmental Psychology equips you with the theoretical knowledge and methodological skills to understand the human dimension of environmental and energy-related problems. Furthermore, it provides you with the expertise to develop effective and societally acceptable solutions for these problems. The program introduces you to main theories in the course Environmental Psychology. Further, you will learn how to design and evaluate interventions to improve environmental quality in the course 'Designing Interventions'. In the course 'Advanced Topics in Environmental Psychology', you will become an expert on a self-chosen topic within the field of Environmental Psychology. Finally, 'Working in Interdisciplinary Teams' teaches you to integrate your obtained knowledge with perspectives from other disciplines to better understand and address the complexity of environmental and energy-related problems. Throughout the year, you will be working on your individual master thesis and possible internship, in which you can work on your own research project. You will have the opportunity to be involved in collaborations with other universities, governmental agencies, companies and NGOs. Also you will choose a methodological course in which you learn advanced research methods in Environmental Psychology, and follow an elective course to tailor the program to your interests and ambitions. We recommend you to take all the courses as indicated in the programme schedule. If you are interested in writing part of your master thesis abroad, you can discuss this with the master thesis coordinator. In that case, you will be co-supervised by researchers from the university you visit. Our group collaborates with scholars from all over the world. For a full description application procedure, please consult Application. There is an increasing demand from practitioners and policy makers to understand the human dimension of sustainable development. Technical solution alone cannot solve environmental problems: Behavioural changes are required and sustainable policies and innovations need to be accepted and adopted by the public. This Master will prepare you for job opportunities in science and practice that focus on finding effective and societally acceptable solutions to environmental and energy-related problems. Our programme equips you for positions in practice or science. The Environmental Psychology group at the University of Groningen is a world leader in the field. The chair of the group, prof. dr. Linda Steg is among the world’s most highly cited researchers. You will have the opportunity to join our research projects, collaborating with other disciplines, practitioners, and experts from all over the world. Steg, L. & de Groot, J. I. M. (Eds.) (in press). Environmental psychology: An introduction. Oxford, UK: Wiley-Blackwell. My name is Lise Jans and I'm involved in the Master's track in Environmental Psychology. I coordinate the track together with Goda Perlaviciute and I also teach the course unit 'Working in interdisciplinary teams'. Whereas Environmental Psychology normally focuses on individuals, I myself specialize in group processes – for example, how can we influence group processes to achieve sustainable energy behaviour? The Master’s track in Environmental Psychology teaches you to understand the relationship between the environment and human behaviour. You will learn not only how the environment affects human behaviour, but also how you can influence human behaviour so that people take better care of the environment, for example by saving energy. I find this track extremely relevant, since the environment is one of the most important topics in today’s society and there is increasing demand for environmental psychologists with knowledge of the human side of environmental issues, both from the business and governmental worlds and academia. This was also why this Master’s was set up. It includes course units such as ‘Designing interventions’ and ‘Personal, social and cultural change’, which focus on how human behaviour can be changed, as well as ‘Environmental Psychology’, in which students learn about theories in the field of environmental psychology. The course unit that I teach focuses on cross-disciplinary collaboration and teaches students to integrate their knowledge of environmental psychology with insights from other disciplines so as to be better able to tackle environmental issues. I also supervise Master’s theses that are on the interface of environmental and social psychology. My research interest lies in the role that groups and group processes play in how people think about the environment and whether or not they display environmentally friendly behaviour. The Master’s programme has a team of excellent lecturers, who are involved in practically relevant research projects and often work together with actors in the field, such as government bodies or businesses. This helps ensure that the programme offers strong links between theory and practice. You will not only receive thorough theoretical training but also learn to apply your knowledge to practical situations, which makes you widely employable. The track offers a lot of interactive teaching and contact with lecturers, all of whom are also involved in educational innovation. And last but not least: Groningen is a great student city, and our Faculty has a beautiful garden. If you are interested in a social perspective on the environment, then Groningen is the place to be! My name is Ruben Mul and I'm following the Master's programme in Environmental Psychology. This field focuses on the interaction between humans and their environment. I am particularly interested in how people influence their living environment. How can we encourage people to make more environmentally friendly choices? The Master's in Environmental Psychology teaches us to develop and apply theories to explain and change people's eco-behaviour, a topic that is now more important than ever. I attended several Master’s information sessions to help me decide which programme to choose. What I liked most about Environmental Psychology was that the lecturers were very passionate about and committed to the topic. We follow theoretical course units as well as course units where we learn to apply theory. In ‘Designing interventions’, for example, our project group developed an environmental intervention based on academic research, and in the ‘Working in interdisciplinary teams’ course unit we learned to approach environmental issues from the perspective of various disciplines. Before starting this Master’s, I completed a Bachelor’s degree in Psychology here in Groningen. The Master’s in Environmental Psychology enables me to put my knowledge of psychology into practice and apply it to important, urgent matters such as climate change and sustainable energy transition. We only have one exam, and apart from that we have to complete lots of papers and projects. I like how this enables us to delve more deeply into the subject matter. It also sometimes means you have to spend a long time on an assignment. It’s really challenging. We do a lot of work in small groups, and that’s also something I like, because lecturers can devote a lot of attention to us and there is a lot of room for interaction. This means that we have rather informal contact with the lecturers. I’m at the Faculty nearly every day and I really like it here – not only for the atmosphere but it also has a very nice garden and a great park nearby. After finishing my studies I started working as a Digital Media Manager for a Dutch political party called GroenLinks (GreenLeft). I manage their social media channels, write newsletters and make sure that the messages of GroenLinks reach as many people as possible on-line. Furthermore, I work on the political strategy and on-line campaigns. It is a very diverse and challenging job which allows me to actively apply my knowledge of Social Psychology. How did I end up at a national political party? During my studies I decided to become active for the local department of GroenLinks in Groningen. I supported the party and became campaign leader for the local elections. I can recommend everyone to gain work experience during their studies. There are no job advertisements that say: ‘We are looking for a Social Psychologist.’ That is why it is important to develop yourself during your studies. Politics and Social Psychology proved to be a good combination for me. My knowledge about human behaviour often comes in useful. What makes people behave in a certain way? Why do people trust one politician but not the other? Those are important aspects of successful political campaigns. My master thesis was about the evaluation of a wind farm in Stadskanaal, a city near Groningen. I visited people there to ask their opinion about the wind farm and sustainable energy. The most important conclusion of my research was not very surprising, but still very valuable. To create public support for new (sustainable) plans it is important to listen to people and to take their worries seriously. In Stadskanaal that did not happen enough. I expect that the transition to a sustainable society will really take off in the next couple of years. There are many opportunities for Environmental Psychologists. Behavioural change does not come naturally, and it is often difficult. We need to change people’s behaviour step by step. That will be the big challenge for politics in the upcoming years. A challenge where politics can really use the help of psychologists. My interest in environmental issues led me to pursue the research master Behavioural and Social sciences, where I could deepen my understanding of the topic and at the same time delve into the world of research. During my master’s I had a lot of courses on research methods and statistics, as well as a variety of courses in social psychology and environmental psychology. Furthermore, I was encouraged to join ongoing projects from faculty members, assist in research and attend lab meetings of the research groups in the department. I did a traineeship, literature studies and my master's thesis to specialise in Environmental Psychology. In July 2016 I started my PhD research in Environmental Psychology about smart energy incentives. I feel really confident in conducting my own research as I had a lot of practice and preparation throughout my master’s, especially by writing my master’s thesis in Environmental Psychology. My thesis was about evaluating a water and energy conservation programme for primary school children called “Water Savers” . Coordinating this project and working with schools and practitioners will be of great help to me for future larger projects that I will design and coordinate. I will see what the future holds. Maybe later on in life, I would like to start my own research and consultancy company in the field of sustainability. For now, I am really looking forward to working on my PhD topic for the next four years. Groningen is one of the few places in Europe where you can study Environmental Psychology. I studied psychology in Italy and decided to come to the Netherlands to do a Master's degree. I heard from my Italian friends who were already studying in the Netherlands that it is a beautiful country, and that university classes are very different from those in Italy – that lectures are more interactive, and that the programmes have a more practical focus. This proved to be true during my first Master's degree programme in Maastricht, where I did Health Psychology. In the Netherlands lectures are more a dialogue than a monologue. I would like to do a PhD. Because in many European countries two years of Master's programmes are required for that, I decided to do a second Master's. I picked Environmental Psychology because I've always been interested in sustainability, but I never found it paired with psychology until I came to the Netherlands. There are various topics within environmental psychology. I'm most interested in pro-environmental behaviour: how you act towards the environment and what you can do to make your impact on it less harmful. This is a relatively new area in the field of psychology, and there are only a few places where you can study it in Europe. I believe that reducing our impact on the ecological environment is a huge priority now, and psychology can help to tackle many environmental problems that are caused by human behaviour. One of the course units in the programme is particularly interesting – we study a problem from everyday life. Someone from a large student association in Groningen came to tell us about a problem in his organization, namely that people are not cleaning up after themselves. We have one month to come up with an intervention which will make people clean up after themselves, without someone having to ask them every time. It's really enjoyable, and we get very good feedback from our lecturers. I like Groningen a lot. It's beautiful and it's nice that everyone cycles. It is easy to meet people: there are a lot of student organizations and events. I originally studied 'Environmental Engineering' in Japan. When I graduated in 2003, I got a job as a government official at the Japanese Ministry of the Environment. A few years later, I got the opportunity to study for two years in The Netherlands. The first year, I studied 'Environment and Resource Management' in Amsterdam and in the second year I started the master 'Environmental Psychology' in Groningen. ‘Environmental Psychology’ was a very interesting new field for me. For me as a government official, it is very important to understand how we can develop and implement policy interventions effectively, in the sense that it is accepted by the public and changes people’s behaviour. It was the first time I studied Psychology, and therefore it was very challenging for me. Because I had a lot of experience in Japan working on Environmental policy, the University allowed me to start the degree. It was very demanding, but at the same time very insightful and rewarding. In my current job, I am responsible for the construction of a new facility in Fukushima for the storage and treatment of contaminated soil and waste (the Fukushima nuclear power accident took place in 2011). We have to collect all the contaminated soil in one place where it can be treated for the next 30 years. We always need to take into consideration the attitudes and emotions of people who live near the facility. I can greatly benefit from the knowledge I gained from ‘Environmental Psychology’ in taking up this difficult task. In Japan, ‘Environmental Psychology’ is very new, but I think it is very important and it will become even more important in the future. Especially now it is very urgent for Japan to consider questions related to public acceptability of various energy sources and policies. Before the Fukushima accident, one third of the total energy in Japan was generated form nuclear power. The government would like to restart power stations but Japanese people are very skeptical about it after the accident. ‘Environmental Psychology’ can help us to understand better which key concerns people have about different energy sources and which sources they prefer and why. I really enjoyed studying in Groningen. It is a great city. There are so many young people and the atmosphere in the city and at the university is very nice. I also studied in Amsterdam and worked in Paris, but Groningen really was the best place for me. I am an assistant professor in Environmental Psychology, which means I do both teaching and research in this field. A significant part of my work is coordinating the Environmental Psychology Master's track. This is a new programme, which is very exciting. 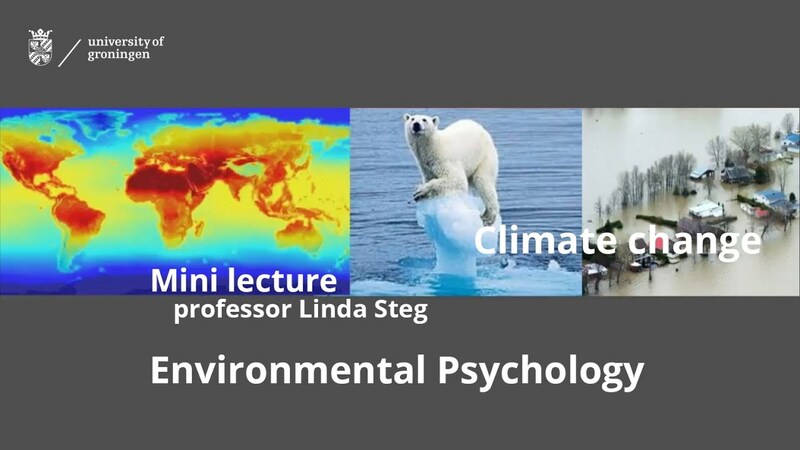 I also teach a course unit for this programme: Advanced Topics in Environmental psychology. During this course unit, students select a theory or topic and they perform an in-depth investigation, they become an expert in that topic. These theories or topics can be selected from the contents of other course units or students can select them themselves. Examples include what motivates people to act in an environmentally friendly way, or what motivates public acceptability of energy projects. What makes this track interesting is the balance between theory and practice. Environmental Psychology has a strong theoretical approach to how we understand people’s behaviour and how to motivate environmentally friendly behaviour. Theory can be directly applied to solve practical problems. It also addresses very important social issues, for example public acceptability of gas production which causes earthquakes in the north of the Netherlands or the adoption of electric vehicles. Environmental psychology is a rapidly growing field with its own theory and research methods. Its theoretical and practical relevance is enormous, given the acute environmental challenges we are currently facing. Students learn to understand the human aspects of transitioning to a more sustainable world. We are facing a huge challenge in climate change. There is of course political willingness and technology to help tackle it, but there is also a very strong human aspect. What do people actually want? What kind of solutions do they expect? What kind of solutions are they ready to adopt? Students gain the knowledge and skillset needed to advise politicians, industry and all other actors involved in the transition to sustainability. I work at the Energy Delta Istitute (EDI) in Groningen as a project and account manager and product developer. EDI educates professionals in the energy sector all over the world. This education varies from one day events to two year master programs. I used to travel a lot for my work, because our partner companies are situated all over the world, but since the birth of my daughter last year I have been focusing on our regional accounts and the development of new courses. I’m also the chairman of the Young Energy Professionals in the Netherlands. I graduated in Social Psychology. I chose the program because of its broad range: I wasn’t sure what I wanted to do at the time, and the Social Psychology master offered various interesting subjects and could take me anywhere. A course I took in Environmental Psychology ended up triggering my interest for the energy sector. The program helped me develop my English and my writing skills, and it benefitted my social development and my ability to present myself. Most importantly, my study taught me to analyze and think on a certain level. That is how I landed my current job. I had a great time studying in Groningen, although it took me a bit too long. You don’t have to have everything figured out when you begin studying, but it’s important to find a goal over time. So ask yourself what you want, what you don’t want, and what you want to achieve – and then get there! Missed our webinar? Not to worry! Our webinars are recorded so you can watch them even after broadcast. Still, we advise to always watch the webinar of the current (academic) year, to make sure that you are aware of the latest updates on topic information. Joining the live webinar also allows you to ask your questions directly, and learn the answers to questions of other participants. In the 'Open days and events' calendar, you can see which events are planned and how to register. 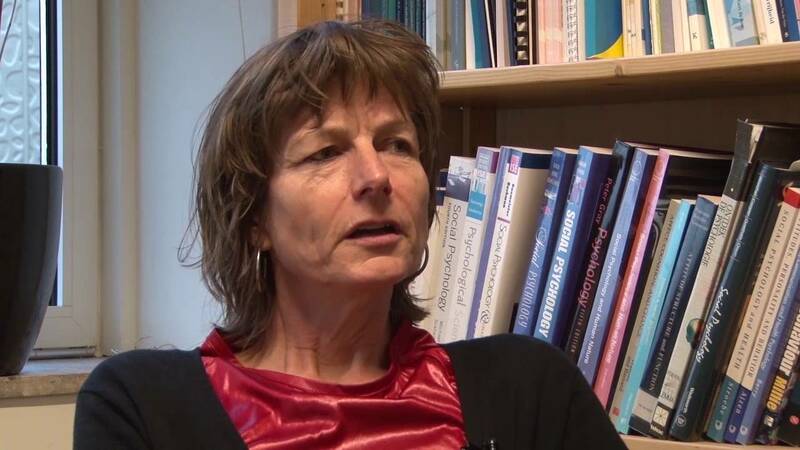 Watch the recording of the webinar with dr. Lise Jans (4 March 2019). Please note: you can no longer post your question when watching on demand. Our academic advisors provide more detailed information about our programmes and give advice to prospective students, students who are enrolled in one of our programmes, and alumni.You can turn to them with questions about the programme itself, study planning, choosing courses/minors, enrolment, rules and regulations that apply to a programme, following courses at other faculties, studying abroad. Do not hesitate to make an appointment with your academic advisor. You can arrange for a meeting by phone (+31 50 363 6301, student service desk) Please also check our online information system: http://www.rug.nl/gmw/questionandanswer. Often, you are not the first person to have a particular question, and the online information system may already have an answer for you.